In my last YouTube video where I “spilled the tea” on the latest AdSense Scandal, I mentioned that I was very glad that I diversified my income over the years. Some of you were curious about how I do it, so I figured that would be a good topic to cover in my first podcast. Yes, yes. I finally dipped my toes into the podcasting pond, and I must admit, the water feels pretty good! 🙂 I felt very relaxed and had fun recording it! I figured this could be another way of diversifying my exposure online, so we’ll see how it goes. WebsitePalace.com: Get a domain, hosting and your free WordPress ebook and watch a getting-started video that will help get your site off on the right foot! Some of the links above are affiliate links, which means I earn a commission if you make a purchase. Subscribe to my podcast and listen to more episodes here! Superb info! Awesome speaking voice!! I am going to sign up under your zazzle right now. This podcast helped me gain clarity, and sort of answered a few questions I didn’t know I had. I can relate to what you say here about strategy and re-packaging content. I have felt the very same way. I know this podcast was done a while back but I still got a lot out of it! Keep up the GREAT work! As I said in a reply on Pod11, I’m doing back to basics. Just decided my summer assignment is to catch up on your podcast. 30 minutes seemed to so long but guess what I couldn’t stop listening! I like to that I can go back and scan the text. Thanks so much for sharing your story, the encouragement of ‘just do it’ but knowing that it is hard work. The one note I’d like to make regards affiliates. There is a site by a long time blogger on home decor that I really admire how she lists her ads. She calls them sponsors and have them neatly listed in the sidebar. Thus, I can enjoy her posts without ads popping up all over the place. She does reference her sponsors in appropriate places. This is something I hope to do. But I have yet to see this format on other home decor blogs. Do you think there may be a down side to doing something like this, particularly for a relative new site? Thanks for the podcast, Lisa! I’ve watched lots of your videos on YouTube and these are great too, but with a podcast I can listen to it while I am doing other things and when I am not online. I agree that you have a fantastic speaking voice. You speak at a good pace (not too fast) and get right down to business too. Hope to hear more of these! I really enjoyed this PodCast. It was actually the first I’ve ever listened to. It was very informative and I look forward to more in the future! Congrats Lisa! It is about time! Really great to hear everything you say and so down to earth! Love always checking your site out and when I just started, still starting really. Your site was the first one I came upon and seemed for real with no ego just sharing info! Loved your pod cast and don’t stop you are a natural and the fellow that told you to not create your product and just worry about affiliates you know what you should have told him and not in a nice tone! Loved the pod cast and keep on truckin! Happy Trails To Where Ever They May Lead!!!!!! I loved this podcast! I first started reading your website and watching you on youtube in 2006 and really wanted to make a website. I agree with you that you have to have passion. I tried to build a few websites over the years but I always gave up after about 6 months because I just felt like writing was such a chore and I couldn’t get any traffic. This time I have so much passion for the topic, so I started watching your videos again and started my site with wordpress.org. This time has been so different. My blog has been up and running for a little less than 1 month and yesterday I hit 99 visitors. I was so excited! Thank you so much for all the information you share with people. And I agree that you deserve to make money for your products. Building a blog or a website it A LOT of work. I don’t think people who have never done it understand the amount of time and energy that goes into it. I really hope you do come out with a that wordpress course you were talking about because it sounds like it would be a great product. I really enjoyed your podcast. You are a natural. I have been following your youtube videos for about 2 years. Enjoyed your relevant topics. I am looking to make some money online soon and I found this to be a helpful tutorial. Another great post from your side. Great tips. A podcast will absolutely create taking in all of this valuable information even easier. I’ve reading your blog since past couple of months learnt so much. Hi Lisa, sorry about the time-lag thing (I’m in the UK). I’ve just clicked your link in the reply above – that was the page alright, and it still has both ‘episodes number two’ even though you have them described as numbers one and two. Hi Pete, I finally understood what you meant. I thought you meant the link was wrong but the player was playing the wrong episode after I uploaded my 2nd one. I have corrected it and as you can see it is now indeed playing episode one. Thank you so much. 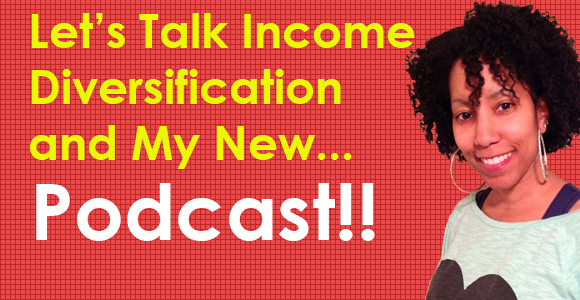 So if you go to this link here https://blog.2createawebsite.com/2014/05/19/diversify-online-income/ you will now hear episode one. Sorry about the mixup! Hi Lisa – What happened to podcast number one? The podcast page has them listed separately but both links go to episode two – Hmmmmm?? i have my own website http://www.kmwebsoft.in , there i start selling bulk sms, linux web hosting, domain registration, reseller linux web hosting, domain registration, logo, banner, advertisement banner etc… at really very cheapest price so, must visit my website and buy something….. I can’t wait for you to put your Podcast up. I listen to Podcasts in the car and this will be a nice addition. Thank you for sharing such great information. I always admire your success! for the past two years i’ve been using your work and tips to inspire myself…and i can tell you, I’ve learnt so much from you and Pat Flynn! I hear Canon cameras are good for video while Nikon ones are good for photos. What a great podcast! I love how you deliver your material. It’s always honest and straight forward and non-salesey. Lisa I imagine you would be very successful putting together a step by step video course for people to follow from A-Z for a reasonable fee. There a lot of people who charge ridiculous prices for things like that, who don’t offer half the value that you do in your free videos. You’re someone who could teach people how to create a website, video, email campaign the whole nine. Much success to you in that. I enjoyed how you talked about passion and the importance of having the right mindset. I also love the fact that you talked about free products versus paid products. That’s something I’ve been thinking about a lot. People either seem to focus solely on the free offers to get subscribers to make money or the lead pages for products to make money. Few people seem to be talking about thinking long term and combining the two. Thanks so much for the feedback Jessica! Hello mrs Lisa…..am a small scale business man I really need a tip to boost my biz. Thanks as always for the information. A podcast will definitely make taking in all of this great information even easier. Hi Lisa I just signed up with you yesterday. I have been looking for this type of information since I started last Nov. This podcast idea is great. Congratulations on you success. As for myself, I wrote an eBook which I give away at my website and my list is now over 2000. However I am stuck at how to make money from them. Any input would be appreciated. Thanks for joining! You can monetize your site with affiliate programs or create a more detailed book from the free one you created and then sell it to them. Do you blog? Also I don’t know what newsletter management system you use but AWeber lets you send out your blog posts to your list. So every time you send out a new post they get an email. It’s a great way to stay on their radar. Thanks, I use a Blue Yeti USB Microphone and I recorded into Audacity. That sounded more like your 100th podcast rather than your 1st! Mind you, your YouTube experience must have taught you to be an excellent speaker. I really found excellent value in this podcast and I so hope that you continue forever and forever. And I can’t wait for you to set up at iTunes so I can download it to my phone and listen when I’m out and about. I love hearing about your business – it’s so inspiring. It just so happens, I’m creating a tutorial membership site at the moment! I’m using WishList Member, Sensei (a WooThemes plugin to handle the course structure) and Vimeo to host the videos – as you recommend. Vimeo is awesome as you say, and cheaper than Wistia. The membership setup is OK, not great, and I’m looking forward to seeing how you get on with Premise (which I don’t have). (Other people are doing this with eMember but there’s not one excellent off-the-peg solution for membership sites, I don’t think). Thanks again for the podcast – I loved it. Wow Rob thank you so much! I did enjoy it and looking forward to doing more. You’re right though! YouTube definitely helps. I certainly have enough hours of talking time there. Ha ha! And I’m so glad you mentioned your membership project. I am trying to soak up as much info as I can and see what other people are using. I know you also sell courses on uDemy right? How do you like them? I considered doing that but decided to start with something I host myself. Like I said in the podcast, so many things are up in the air. I’m still in planning mode and kinda going back and forth. The beauty of Udemy, Skillfeed and all these platforms is that there’s no exclusivity. You can sell videos there that are already on YouTube. You could bundle together 6 or so 5 minute YouTube videos and record an introduction and concluding video and put that out as a free course on Udemy. That will fill up with students in no time. You don’t get the students’ emails but you can send them announcements which go straight into their inboxes and these are incredibly powerful. I have a few free courses there (which are all YouTube videos) and I promote my premium courses (most of these videos aren’t on YouTube) twice a month. Skillfeed, a subscription-based service from Shutterstock, is less work. Just upload from Dropbox and you get paid per minute watched. You can either upload courses (30 minutes +) or “skillsnacks” which are 5 to 10 minute videos. You can put all your recent YouTube videos up there if you wanted. Talking head videos or screencast videos – both are good on these platforms. Subject matter-wise, WordPress, design, video and online marketing stuff does well on these platforms. You could do really well, Lisa, on Udemy with anything but I think a “make money with affiliate selling” course from you would do really well. Udemy are pretty good. I only get around 40% of what I make there. Their Alexa is 1655 so it puts you in front of a large audience and, more importantly, you can sell video courses there as well as on your site and anywhere else you like. Skillfeed are coming along but I don’t make so much there. I’m experimenting with other platforms as well, there are a lot out there. Great info Rob. So much to think about. Thank you for all this. Now I know who to go to if I have questions. 🙂 Really, really appreciate your info. I like to download the podcast and play it on the way to work. It seems I’m not able to download your podcast. Can you please add the option. I live in the mountains and cell is not good. Anyway, thanks for sharing yourself to us. Hey Lisa, I am sorry that I am sooo late reading this. I was wondering when you would get around to Podcasting. From the looks of your Alexa Ranking things are still going very well for you! I greatly appreciate you sharing with us, how you make all that cash! LOL! Have a Good One! Good to see ya again. Thanks for coming by. Ever since I was acquainted with 2CreateaWebsite, you have always been in action! Starting your WebsiteBabble, changing your site themes, uploading of youtube videos, providing useful tips, advices and info and now Podcast. Too bad I have never duplicated your success but I have always been comfortable with your Voice and be it video or podcast, I will still enjoy it. Of course, thanks for the constant provision of subject or content to learn about. Awww William, thank you so much. Appreciate ya. I love your new podcast! I’ll be subscribing when it’s on iTunes. And you can count on a five star review from me. Now I can listen to Lisa on my commute to the office! Yes you sure can. I plan to upload after my next episode. Thanks again. Got your email. Might have to check out your meetup! Thanks so much, girl. Long time to see! Good to hear from ya. My only request – iTunes – that way I can subscribe and know I won’t miss an episode. Hi Tom, yep I will be uploading after my 2nd episode. I see a new favorite Podcast in my future. Please Please Keep it up! Cool! Thanks a lot Monique. and as far as worrying about what content to include in your membership site…. I’m sure you could talk about frogs on lillypads and you will STILL convert sales!! lol simply the best! Lilypads!!! This made me LOL. Literally. 🙂 Thanks Sam. Great first podcast……..I appreciate you!!! I have tears streaming down my face right now – but I also have the biggest smile ever!! I love your podcast! Hope you make them on a regular basis and submit to itunes! Appreciate you listening, Cathy. Yep I am going to continue and will let everyone know when I publish to iTunes. When I saw that you started a podcast, I said YESSSSSSSSSSSSSSSS! I prefer consuming content through podcasts. It just makes it easier for me to do so while working on my businesses online. I hope that you’ll continue to do so, and I hope everyone will support you doing it. Yep looks like I will be continuing. The fact that my followers seem to like it and I had fun has got to be a good sign. Thanks Tashia! Really Mollie? Wow, now that means a lot right there. Thank you, thank you. Great 1st podcast! Thanks for making it happen. Congrats on your 1st PodCast! Like all your content it was awesome. Thanks for all the insights. I’ve been around for a while and know a bit of your story but this was a great going down the memory lane of internet marketing and what to look forward. Thanks again for sharing. This is great! I look forward to more of your podcasts. Im so glad you bit the bullet and did this and listened to Ileane as well. You both have great voices and have helped me as I begin my online career. You mentioned that your audience is in the Spanish community, but is your audience looking to create websites? If you don’t have an audience that is looking to start a website then I would not recommend it. I use GoDaddy but Hostgator has one too. What camera you’re using to record videos dear Lisa? I use a Sony Handycam. Well I hope I can make you actually like them on a regular basis! lol Thanks for listening Eden.